You may qualify for a credit of up to $2,500 on your taxes for your fire mitigation services! Check out this pdf from the CO department of revenue for more details, and schedule your free fire mitigation assessment today! Living in Colorado sometimes means living through dry spells and high risk of fire danger. Stretches without rain and snow, combined with high winds that come off the mountains cause conditions ripe for wildfire. Fire mitigation is a series of steps that you can take to reduce the risk of a wildfire consuming your property. It includes assessing the risks around your property (tree health, ladder fuels, how and where you store materials, etc. 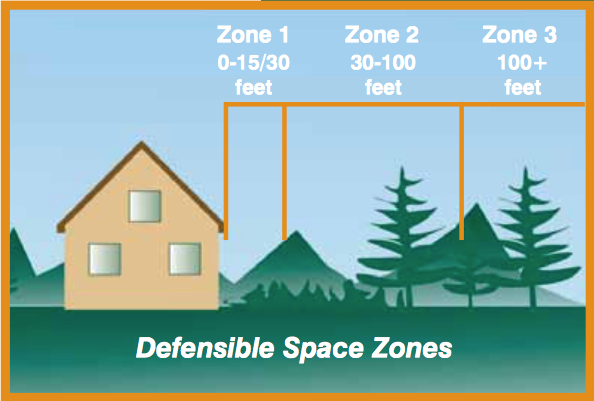 ), recognizing the wildfire dangers and your responsibility in mitigating them, and creating 3 zones of defensible space (0-30’, 30-100’, 100’+). When you live in Colorado, enduring droughts and high fire danger is a reality of life. Homeowners have little control over when a wildfire will start and where it will impact, but there are intentional steps you can take to make sure your home is better protected. 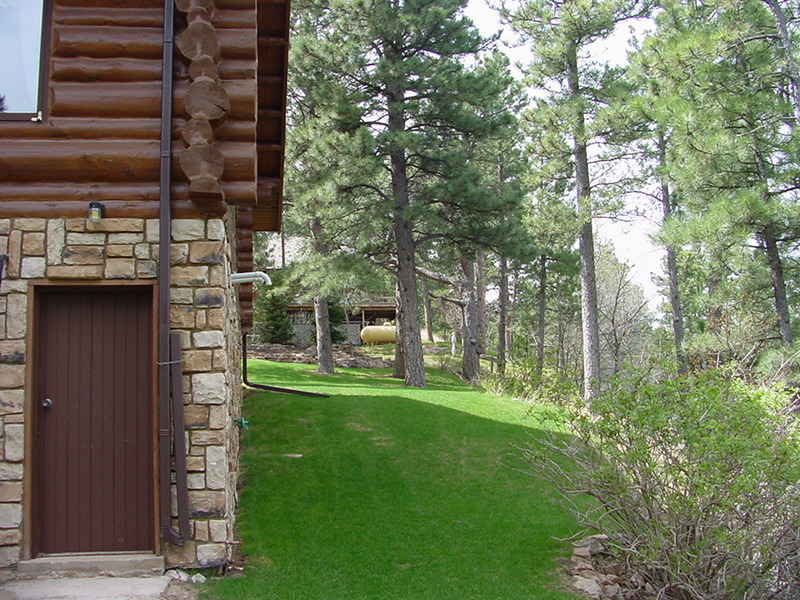 This is commonly referred to as the practice of “fire mitigation”, and it is crucial for homeowners in the more wooded areas of the Pikes Peak region, such as Black Forest or the foothills areas of Colorado Springs and Monument. How can you practice proper fire mitigation on your property? One of the best ways you can help defend your home from an approaching wildfire is understanding how to prepare and take care of the land around it to minimize the chances of wildfire impact. 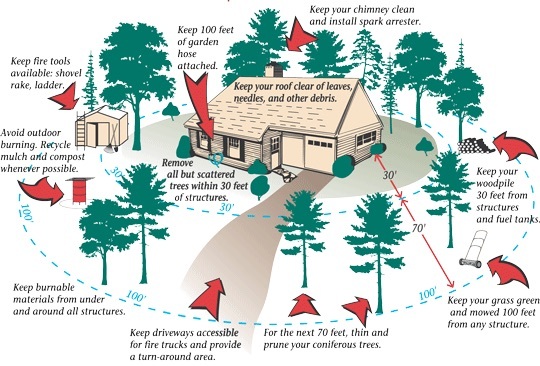 The fact is that the more you prepare the area around your home, the higher the chance it has of surviving a wildfire. Key in this understanding is knowing what fuels a fire, and ensuring those fuels are managed within a defined perimeter or “defensible space” around your house. The low branches of trees should be trimmed up to create space between ground fuels and tree fuels. Larger trees (30’ or higher) should be trimmed up 10’ off the ground, while the bottom third of smaller trees (less than 30’ tall) should be trimmed up—though trimming more than recommended could damage the tree. 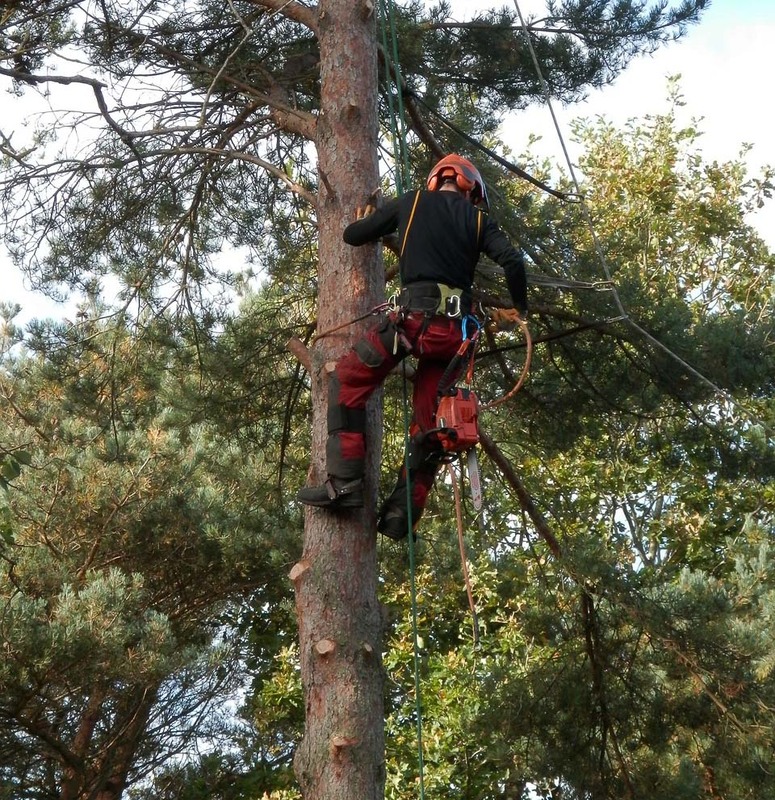 Additionally, any dead branches or trees should be removed. As a general rule for a wooded property, it is recommended to keep the widest parts of trees at least 10’ from one another. If a cluster of trees is desired, it is recommended to separate the cluster at least 30’ from other trees. Trees within 15’-30’ of your home or any other structure should be completely removed. If you desire to keep a couple of trees within that space, then it is recommended to remove all trees within 15’-30’ of those trees. As one might expect, the farther trees are from your house, the safer your house is from burning. Ultimately, it is YOUR responsibility as a homeowner to protect your life, family, animals and property from wildfire—but you don’t have to do it alone. Fisk Lawnscapes provides fire mitigation services, addressing wildfire danger from the various fuel types on your property, providing a more defensible space around your house, and greater peace of mind for you and your family. We are currently scheduling fire mitigation projects for this fall and winter—please give us a call at 719-495-6300 for a free fire mitigation estimate, or fill out our form below!